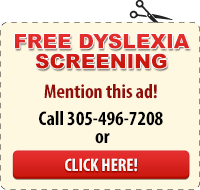 Levy Learning Center is the number one ADHD tutoring center in Florida., providing ADHD treatment for children. With our ADHD programs, Levy Learning Center’s ADHD tutors help students perform better in school and in life. Attention deficit hyperactivity disorder (ADHD), is a syndrome that can exhibit inattentiveness, hyperactivity, and/or impulsiveness as the main characteristics. Approximately 5% of the general population of children have this syndrome. At Levy Learning Center our tutors are trained to teach these students strategies that will help them focus, write better, and have longer sustained attention to do better in school. Our students with ADHD have gone from failing grades to As and Bs. We advocate for the parent to the school, and assess the child to see where the weaknesses are and what will be an appropriate ADHD remedial program. Contact Levy Learning Center 305-496-7208. We specialize in tutoring students in grades K-12, in one-on-one and small group environments, using research-based, mutli-sensory techniques. We start with an assessment of each student to gain a sense of his or her strengths and weaknesses and the kinds of methods that are most appropriate for that student. We then put together a diagnostic and perscriptive plan for that student that is customized to his or her needs, and then match that student with one of our instructors who is specifically trained in the most appropriate methods. Levy Learning Center offers several two-week intensive summer programs in small groups. To learn more, click here. 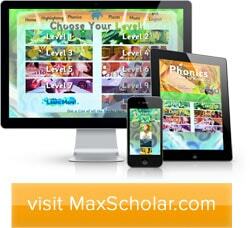 With MaxScholar multisensory and research-based strategy software, improve up to 2 grade levels! Our programs are the solution for struggling readers. We use cutting-edge software to improve word recognition skills, reading comprehension, writing and study skills.